Several of our studies within Ecolight have used a long time-series, global data set of annual nighttime satellite images from the Defense Meteorological Satellite Program (DMSP) operational linescan system (OLS). The dataset is publicly available and digitally archived from 1992, produced and provided by the NOAA National Geophysical Data Centre. We have developed a novel intercalibration method to satellite images to detect regions that experienced either marked increases or decreases in detected brightness from space, as a first step towards detecting trends in light pollution. Careful analysis of satellite imagery such as these can inform decisions on the need for and efficacy of such measures, and help to identify how local economic and environmental decisions influence our global night environment. 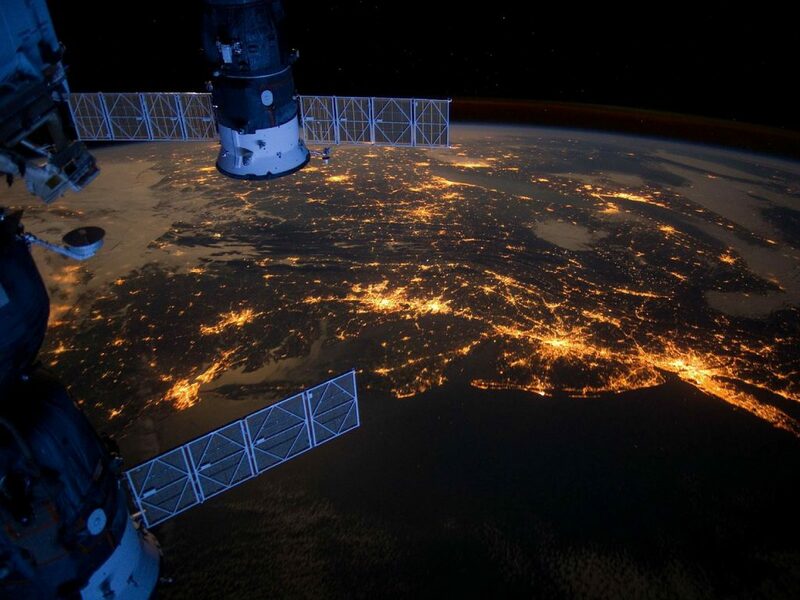 In addition to providing a measurement of emitted light itself, satellite images of artificial light at night have been shown to be a proxy measure of urbanization, human population density and economic activity at national and regional scales. 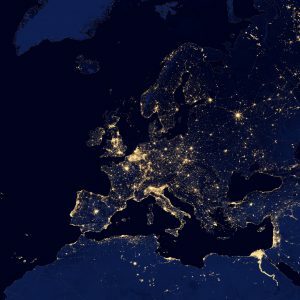 From the perspective of biodiversity conservation, satellite-sensed nighttime lights represent a measure not only of the influence of artificial light, but also of other threats associated with biodiversity loss, such as habitat fragmentation and loss, industrial pollution, resource extraction and human-wildlife conflict. The Ecolight project has shown that while the continental trend is towards increasing brightness, some economically developed regions show more complex patterns with large areas decreasing in observed brightness over this period.